A dangerous African wild cat was discovered during a drugs raid by police in Biggin Hill. 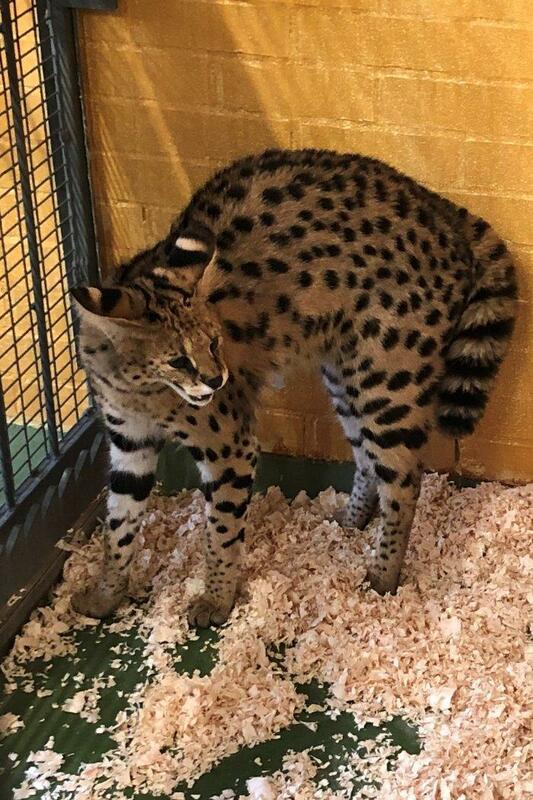 The serval, whose spotted coat resembles a leopard or cheetah, is believed to have been illegally bred or imported into the UK. Council vets were called to confiscate the cat — often seen as a status symbol — under the Dangerous Wild Animals Act, which requires owners of certain animals and reptiles to have a £636 licence and follow strict rules for keeping them. Servals, widespread in wetlands of sub-Saharan countries, can grow to 2ft tall and weigh up to 40lb. Their coat, long legs, small head, large ears and a black-tipped tail make them almost impossible to spot in tall grass in their habitat. Natural instincts to hunt, swim, run and climb mean the animals are not considered safe domestic pets. Owners are warned not to leave them with children because they play using sharp teeth and claws. Kate Lymer, Bromley council’s executive for public protection and enforcement, said: “Licensing exists to protect individuals and animals. If an owner meets the criteria we will license prior to them obtaining the wild animal.